Careful planning ensures successful outcomes for both the running track construction project along with winning outcomes for the athletes using the new track. With the assistance of an experienced track and field construction team, the initial decisions made assures the longevity of the track along with lowering the future maintenance needs. Hal’s Construction has an experienced team to manage all aspects of track and field planning and construction including drainage, utilities, spectator seating, out buildings, parking lot, walkways, lighting, sound system, plumbing, fencing and any other amenity you will need. Determining the size, shape and amount of lanes along with a knowledge of the additional sports to be played on the inner field in the initial planning stages is key to its success. Running tracks are built around either soccer or football field to utilize all available space. The majority of competitive school tracks built today have six to eight lanes. Some of the larger schools and universities have nine to 10-lanes. Hal’s Construction will custom build the running track that fits your needs. When designing your sports field or running track, you will need to determine what amenities you want to include. It is important for the design team at Hal’s construction to know everything you want to have installed early in the planning stages. We will allow special consideration and design a plan for the installation of utilities, scoreboards, fences, bleachers, lighting, parking lots, walkways, and additional sports equipment buildings during the track and field construction. We always pay special attention for a proper drainage system along with identifying the location of underground utilities. Running track lanes need to be level and free of ruts for the safety of the athletes. The construction team Hal’s Construction are masters in excavation and leveling any surface for site construction. We also pay close attention and to the sub-base requirements and slope. 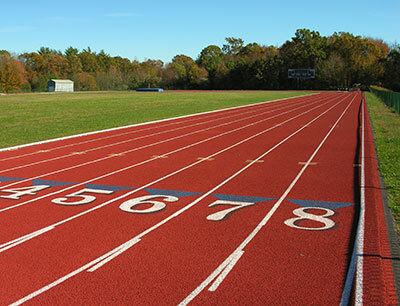 In the construction of a running track or sports field it is important for the ground to be level with a minuscule grade to keep the track and field free of standing or pooling water. Will the Ground Allow for Running Track Construction ? The condition of soils found at the site will determine the longevity of the running track and the type of surfaces that can be chosen. Drainage problems, excessive settlement, and shifting due to poor soil conditions ruin even the best tracks. 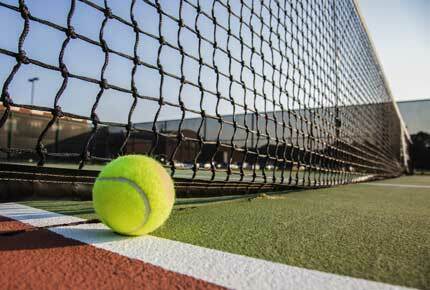 The team at Hal’s Construction is highly qualified in the installation of running tracks and sports fields. We will create a plan for a sustainable sub-base and foundation for all drainage issues. No matter what the choice of the track’s surface, we at Hal’s Construction know that the sub-base is the main key to installing a successful level running track and sports field for all types of events.